NetCut is software that helps you admin your network by purely on ARP protocol. List IP-MAC Table in secs, turn off & On network on any computer on your LAN including any device like router, switcher. 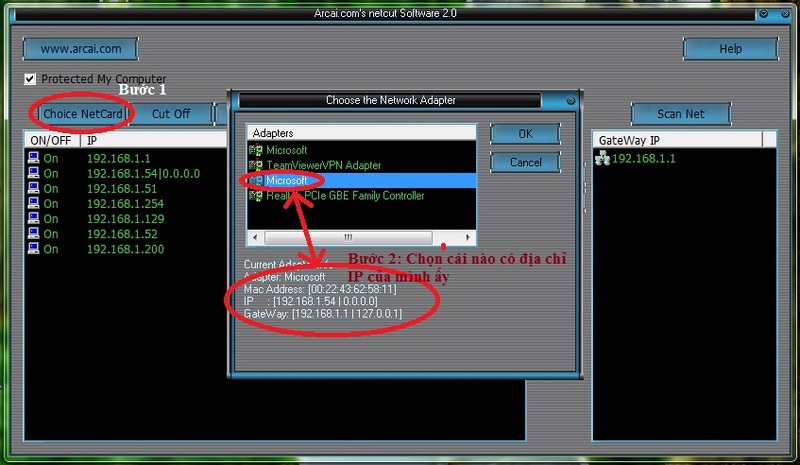 Also, NetCut can protected user from ARP SPOOF attack. Pure ARP protocol kernel. enhenced cut off funcation, One click to Protect user Computer Function!!! No one in the network can cut you off with ARP spoof technology anymore. One click to Protect user Computer Function!!! No one in the network can cut you off with ARP spoof technology anymore . NetCut 2.1 is licensed as Freeware for the Windows operating system / platform. NetCut is provided as a free download for all software users (Freeware). Qweas is providing links to NetCut 2.1.4 2011 as a courtesy, and makes no representations regarding NetCut or any other applications or any information related thereto. Any questions, complaints or claims regarding this application NetCut 2.1.4 2011 must be directed to the appropriate software vendor. You may click the publisher link of NetCut on the top of this page to get more details about the vendor.